Quick reviews of movies now in theaters. As always, these are listed in order of my least favorite to favorite. The Grinch (2018) – The latest film from Illumination is perfectly…there. The animation is beautifully detailed in a busy way and that’s how I felt about the movie in general: it’s pleasant yet lacking a sense of a personal touch. I was zoning out during stretches of The Grinch (2018), largely because it felt content with just dressing up the property and not justifying why we should have a new telling of the story. 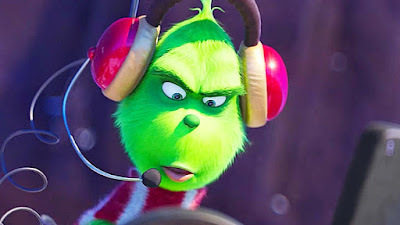 Benedict Cumberbatch finds a good balance of being nasty but also fun as The Grinch and Kenan Thompson is funny as a happy-go-lucky Whoville citizen, but the movie didn’t feel like a passion project of anyone, so it becomes boring after a while. I will say this, though: Pharrell Williams does a good enough job narrating that it made me want to listen to N.E.R.D. music afterwards. Mid90s – Jonah Hill’s directorial debut shows some promise for him as a filmmaker, but it would definitely be a disc in my imaginary douche-auteur box set. My main issues with Mid90s is that it’s so much a new director developing their style (e.g. music choices, the A24 logo at the start being all skateboards and then someone skating through them, characters being named Fuckshit and Fourth Grade) that it calls attention to itself. Also, the characters are dicks. 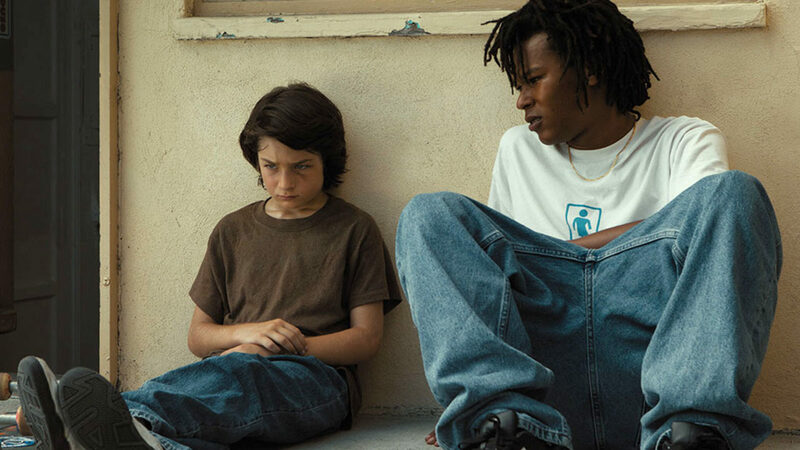 I’m fine watching a movie where the protagonist and people around him are unlikeable, but Mid90s wants you to see some beautiful poetry in it all and I just saw kids cut from the Larry Clark cloth (the exception being Na-kel Smith as Ray, who I liked and found interesting). I’m probably sounding like a snob right now, which could be true, so your mileage may vary with Mid90s. It has scenes that work and others that drove me crazy. 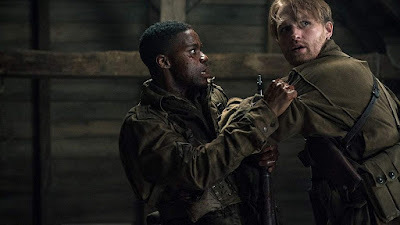 Overlord – At risk of going against my horror brethren, I have to say I didn’t much care for Overlord. To me it was numbing, loud, and thin. The opening sequence is strong, and the film is certainly tense in some moments. 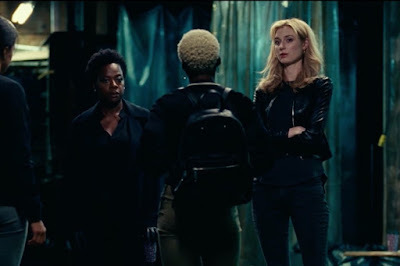 I also thought a few of the performances (Mathilde Ollivier, John Magaro, Bokeem Woodbine) were fun but it wasn’t enough for me to like the movie overall. It felt like watching an overlong zombie Call of Duty walkthrough with cutscenes. It’s just not something I personally enjoy. Also, there are too many scenes of our hero being around an explosion or something, being thrown across a room, and then getting up immediately without so much as a bruised knee. I’m aware that this is a detail that wouldn’t bother me if I were enjoying the rest of the movie. Green Book – Green Book largely works because the performances by Mahershala Ali and Viggo Mortensen are terrific, as is their chemistry together. This is a “based on a true story” telling about the friendship that developed between a working class Italian bouncer named Tony Lip and an African-American classical musician named Dr. Don Shirley. Surprisingly, the film has a mostly light touch and eventually feels more like Planes, Trains & Automobiles than anything else. 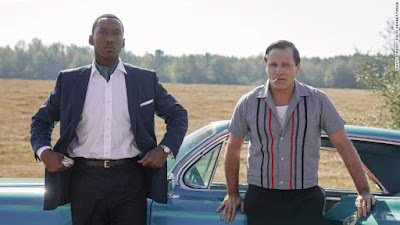 Green Book is perfectly amiable, formula entertainment and would make a perfect choice to watch on an airplane. Side note: The movie is very matter-of-fact about the casual racism of the film’s setting, which is probably more honest even if, as a viewer, I wish it were angrier about these attitudes. I’m having trouble reconciling that, but a movie set in the 1960s shouldn’t necessarily have a 2018 point of view. In the end, it’s good that these two decent (and interesting) men became friends and the movie is telling that story. 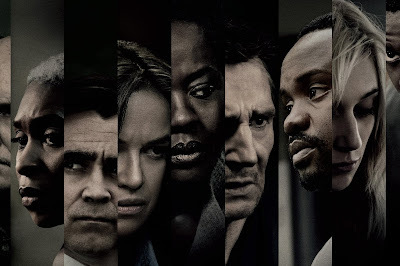 Widows – A strong crime movie that isn’t quite as good as Heat or The Town. The greatest pleasure of Widows is it’s populated by interesting actors giving terrific performances (especially Viola Davis, Elizabeth Debicki, Brian Tyree Henry, and Daniel Kaluuya) and has not just one but two equally fascinating stories being told on-screen (the crime A-story and the political B-story). The third act, in my humble opinion, doesn’t quite match the first two stronger ones, but it doesn’t matter much. Writer-Director Steve McQueen made a good Chicago movie and does one of my favorite things in the world which is give a genre movie enough heft and importance to make it a big saga. P.S. I love that Colin Farrell (an actor I think is great) decided to be the only person in the cast to do a Chicago accent. It’s so bad. I could listen to it all day. And there’s a Robert Duvall shouting scene that made me laugh because no one shouts more amusingly than Robert Duvall. Suspiria (2018) – Being only a minor fan of the original Suspiria and the work-to-date of Luca Guadagnino, I was stunned how much I loved his remake of Suspiria. It shares plot elements with Dario Argento’s horror classic but goes its own way in style and especially mood, owing more to the slow-pace creepiness of The Shining. It’s a movie I loved getting lost in. 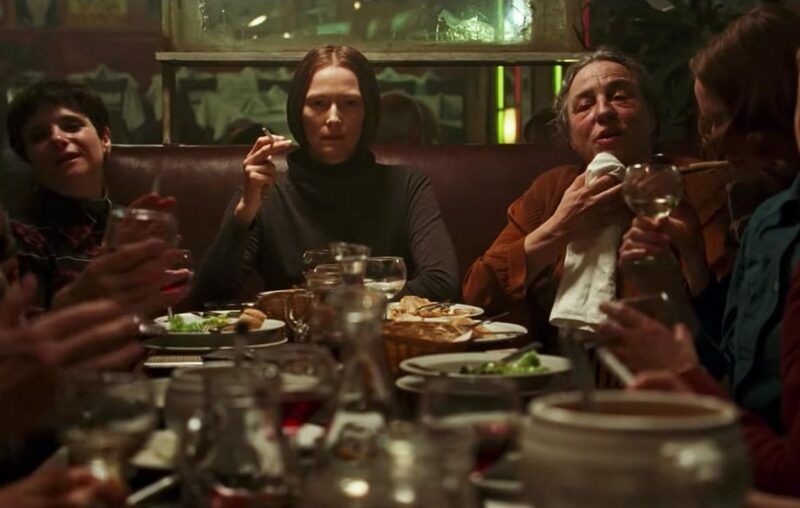 The trio of performances by Tilda Swinton are ballsy and awesome, the makeup effects are great, the setting is unsettling, and the climax is so crazy that I sat in awe watching it. I also can’t say enough good things about the score and original songs by Thom Yorke which add a great deal to the sad, tired weariness of the movie. In a strange way I had a blast during Suspiria (2018) because it’s such exciting and personal filmmaking. I didn’t want it to end which is the greatest compliment I could give to a movie running 152 minutes. What did you think of these movies? Have you seen anything else lately that you recommend? The Grinch - Yeah, I was also mostly just bored by this one. But I actually thought it did two things better than the original. Cindy Lou was a better character, and what happens after the Grinch changes is better handled. Overlord - Same boat. I love obviously horror, but I admit fast, twitchy zombies is not my subgenre of choice. I found the last act pretty ridiculous and uninteresting. I love Wyatt Russell though, and thought the movie picked the wrong lead character. Widows - Damn strong flick! It's nice seeing a really competent drama and watching a ton of great actors do their thing. Suspiria - I really liked it too. I also had no problems with the length and never thought it felt long. The last act is damn incredible. I saw THE CONGRESS from 2014 again and still thought it was really interesting. I don't think anybody saw that one. Same director of Waltz With Bashir.